Why? Because despite the fact that North Carolina spends millions of taxpayers’ dollars each year on vouchers, we have no meaningful data that can tell us if this is an effective way to help poor students who deserve a high quality education. When lawmakers enacted the Opportunity Scholarships program back in 2013 to allow children from low-income families the chance to use public dollars at private schools, they included accountability provisions in the law that fail to let the public know if these privately-operated schools are better—or worse—options than public schools. So here’s a glimpse into what next-to-nothing accountability for a publicly-funded school voucher program looks like: current law only requires private schools with more than 25 voucher students to make public their annual standardized test results. With that threshold, only 11 percent of all voucher schools (that’s 34 schools if you’re counting) were required to publicize their students’ test results at the end of 2016. How students fared at nearly 300 other private voucher schools in North Carolina is unknown. And let’s also be clear about what we know about the 34 private voucher schools that had to publicize test results. These schools were able to pick any nationally normed test of their choosing—which means it’s impossible to compare one of these schools with another, much less make comparisons with local public schools. Efforts were made this past legislative session to require all voucher schools to use just one national test so that, ultimately, parents can make more of an informed choice—but those efforts failed. In this context, one must wonder how a parent is supposed to know whether or not a private voucher school is a good choice for his or her child. 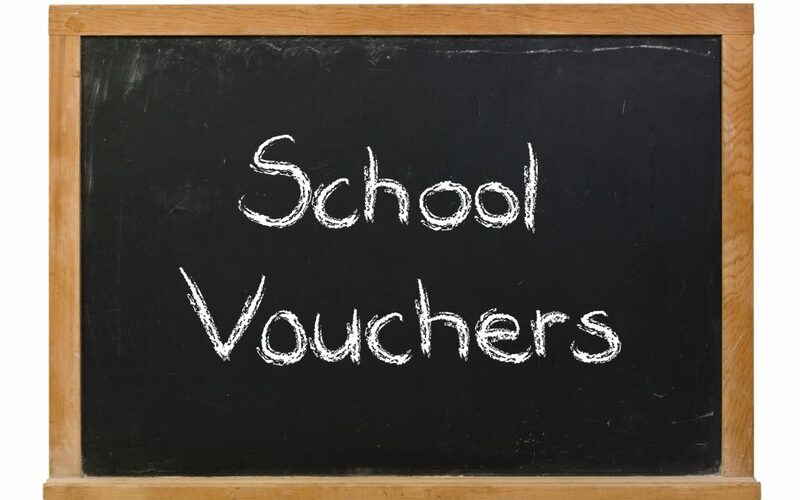 Some proponents of vouchers say less oversight for the taxpayer-funded program is how it should be, because really it’s up to the parents to be the final arbiters of accountability. Let them vote with their feet if a private voucher school has failed their kids. Is that the best approach to take when it comes to the education of our children? Public schools aren’t immune to criticism. Some fall short in their ability to educate the population of students that they work with. Why that happens can range from poor leadership and ineffective teachers to out-of-school factors that affect student learning, such as living in poverty. Whatever the case, we know which public schools are experiencing problems. Access to testing data has been the norm for years—and in recent years there has been a move to use this data to create letter grades A-F for all public schools. But private schools receiving public funds aren’t subject to even that level of accountability, flawed as the A-F grading system might be. At a minimum, shouldn’t all publicly funded schools be required to participate in some type of robust accountability system? In spite of the fact that taxpayers continue to be in the dark about the effectiveness of a school voucher program that diverts money away from public schools, lawmakers have voted to expand it anyway over the next ten years. By 2027, taxpayers will be spending $145 million annually on a program that, as it currently stands, is unaccountable to the public. A new evaluation effort of school voucher participants’ academic outcomes is underway by independent researchers. Hopefully it will provide a window into whether or not voucher students are experiencing better learning gains than public school students. We already know that the study will have its own shortcomings because it will rely on voucher schools that volunteer to participate in the evaluation versus a random sampling. But it is a start. At the end of the day, the public deserves to know whether or not their tax dollars are being spent on programs that help kids do better. Lawmakers need to increase transparency and accountability for the Opportunity Scholarships program—and the public needs to demand it.